Here’s an installation of 12 x 8 44mm Log Cabin that we installed for a customer in Horsham, West Sussex. The Marlborough Log Cabin features an apex roof, draught sealed joiner made windows and comes fully double glazed. View our full range of Log Cabins here.. 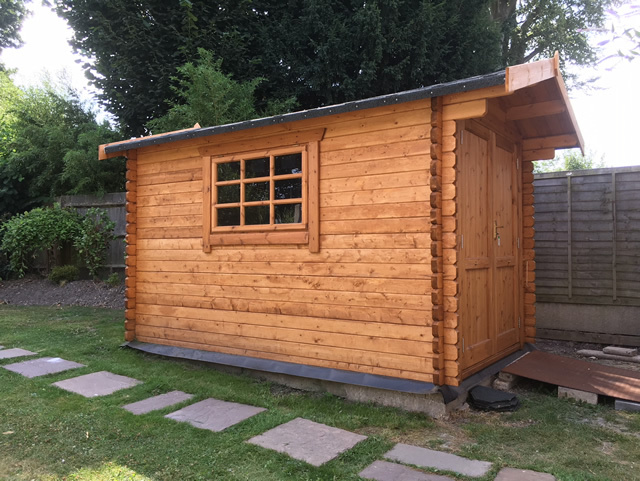 I have been intending for several weeks to let you know how pleased I am with the log cabin purchased from Cousins in March and delivered in April. It went together easily and looks great as you can see from the photos.